Do you ever daydream about your home, and what you would love to have it look like? I do (all the time), and that's why I'm here. From as far back as I can remember, I have taken rooms in my own home, and re-designed them. Even as a child, I was always re-arranging or creating spaces; anything I could physically create, I did. Growing up with very limited resources, I discovered ways to improve my surroundings with what I already had on hand. I have a lot of DIY talent. Fast forward to now; after years of college and working in the corporate business world, I decided to embrace my true passion.... design. Prior to having my son, I knew that it was time to leave corporate America, I knew that I loved looking inside peoples homes for design ideas and inspiration, so I went into the real estate market, and it didn't take me long to determine that the sales side was not what lured me into that world, it was the design of the homes: seeing different homes and different styles - I couldn't get enough. I couldn't control myself from offering seller's advice on how to change their homes. It was then that staging was becoming noticeable in the market. WOW - finally my interior design and decorating could be used. Staging homes, and offering insight into change was my true path. 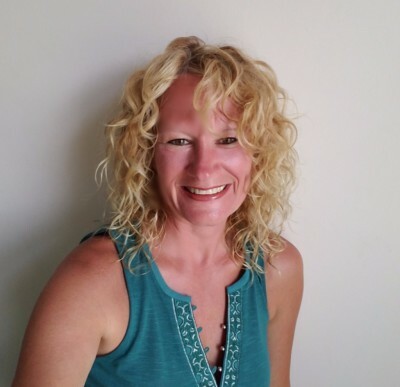 I withdrew my license from the real estate market as an agent, bringing my buyer and seller knowledge with me, and decided to pursue my design passion with homes. For years, my family and friends have questioned me as to why I didn't design for a living? Now I do, and I started Dragonfly Home Designs. Dragonfly means change. I want to share my vision with others as well as incorporate their dreams. I want to share my ability to take a room and transform it into something serene and beautiful. I hope that I get the opportunity to share my design and organization knowledge with you. I also embrace the practice of Feng Shui. 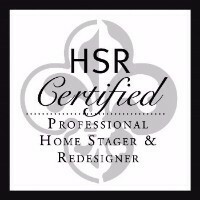 I am an HSR Certified Professional Home Stager & Redesigner, and a member of RESA. I am also a proud member of The American Society of Home Stagers & Redesigners (ASHSR). Sometimes people believe that their homes can never look clean. So many times, it just finding a home for your belongings. I can help you organize your home, and when you know how to organize, you too will feel the calm.